At the core to the private sector financing of public services and infrastructure is project bankability. Optimizing risk allocation is fundamental to attracting finance and thereby more closely aligning the interests of stakeholders. Prospective investors like clear, succinct data to work from: material and processes that engender confidence in the business opportunity, so Altra’s approach is to work with its clients to prepare ‘bankable’ business plans that are more likely to be acceptable to the investment committee of those organisations that may act as investor or lender to this project. 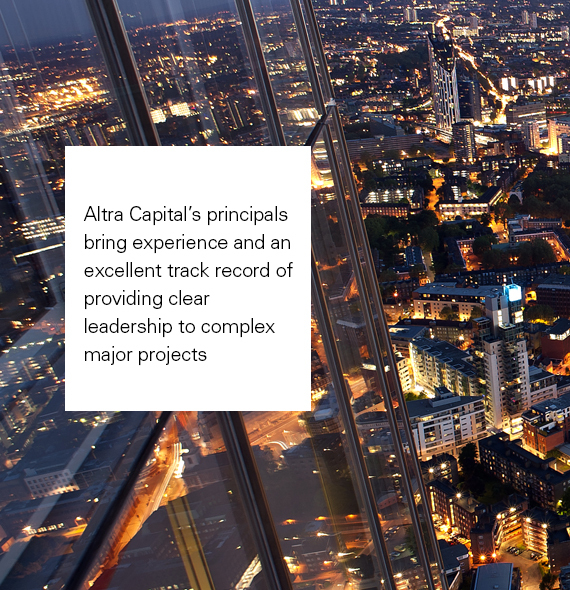 Altra Capital provides business plans and investment material that meets the standards that international investors expect. We are familiar with the specific needs of major projects in developing and transitional economies. Our investment and financial services team brings over 25 years’ experience in capital markets and corporate finance, private sector debt restructuring, mergers and acquisitions, derivatives, asset trading in emerging markets debt and asset-backed securities.